Home // Sockets // Original Ceramic 9-pin tube Socket with shield for 12AX7, ECC83. original ceramic sockets with silver pins and aluminium shield. ECC802S, 6N1P, 6N2P, 6N23P, 6N23P-EV, 6J32P, EF86? tubes with 9-pins tube fitting. Old stock, never used, panel mount (chassis)?sockets. ?For?9 pin tubes. Each socket goes with aluminium shield and a spring to suit UP to 45mm height tubes. 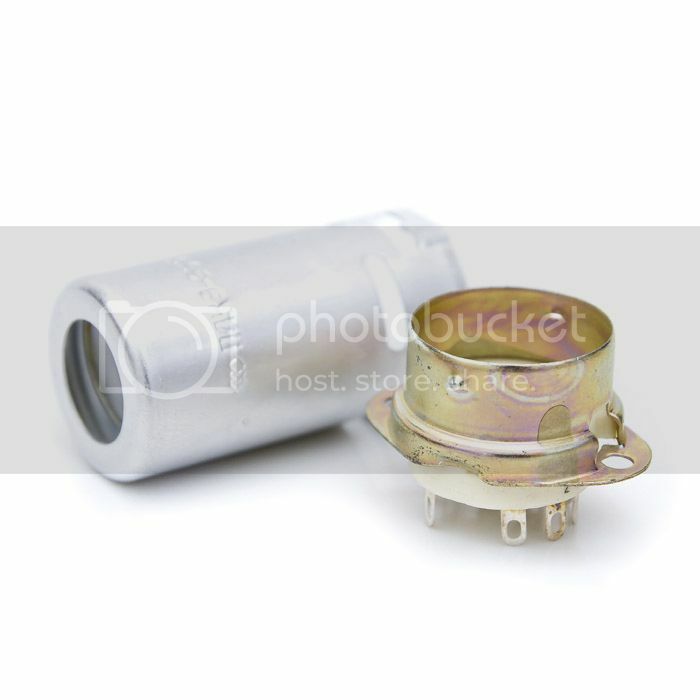 Notify me of updates to Original Ceramic 9-pin tube Socket with shield for 12AX7, ECC83.